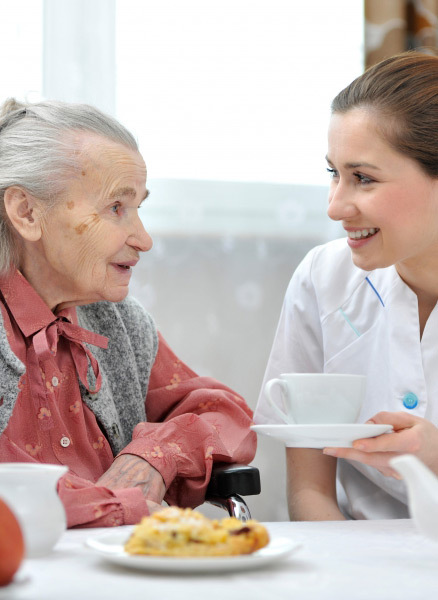 Here at Nova Home Health Care, we provide in-home occupational therapy services, so that you can navigate through your regular day-to-day activities in the comfort of your home. Let’s take a look at the function of occupational therapists and how Nova Home Health Care can aid you. Occupational therapists aid others in performing ordinary daily tasks. If you’re hindered from performing daily tasks as you normally would, an in-home occupational therapist can help. If you suffer from an injury, illness, or a disability, it may be difficult to perform tasks that you need to do throughout your day-to-day life. An occupational therapist will help you accomplish these tasks, they will empower you to complete daily tasks, and they will aid in training you to complete tasks on your own. How Can Our Occupational Therapists Help You? Our occupational therapists take charge of rehabilitation to restore skills for activities of daily living, such as bathing, dressing, cooking and eating. Our goal is to train you to complete tasks if you may be able to incorporate these tasks into your daily life. Since we provide in-home occupational therapy, we can assist you with all of the daily activities that you normally encounter. We strive to provide you with a safe, secure environment, the training and therapy you need to grow, and the assistance to perform all of the tasks you desire. If you’re curious about our occupational therapy assistance, feel free to get in touch with us here at Nova Home Health Care! We provide in-home health care solutions for folks throughout Virginia that noticeably set us apart from the other in-home healthcare agencies in Virginia. You can learn more about our full list of services here.